GALION – The Galion City School District Board of Education held its regular monthly meeting Tuesday, Feb. 20 in the computer lab of Galion Middle School. The first portion of the meeting was a presentation by District Treasurer Charlene Parkison that detailed various financial statements regarding the schools. Parkison also informed the board that the fiscal year 2017 audit was recently approved with no issues. The board also approved the district calendar for the 2018-2019 school year. The opening day for students in grades k-12 will be Monday, Aug. 20, 2018 with the school year concluding on Thursday, May 23, 2018. One change to the calendar from recent years is moving GHS Commencement back to a Sunday afternoon, beginning June 2, 2019. “We heard from many parents who expressed concerns that the current Friday evening graduation services are a time crunch for those who work,” said superintendent Jim Grubbs. The calendar also includes open-house dates for all buildings prior to the beginning of the school year. 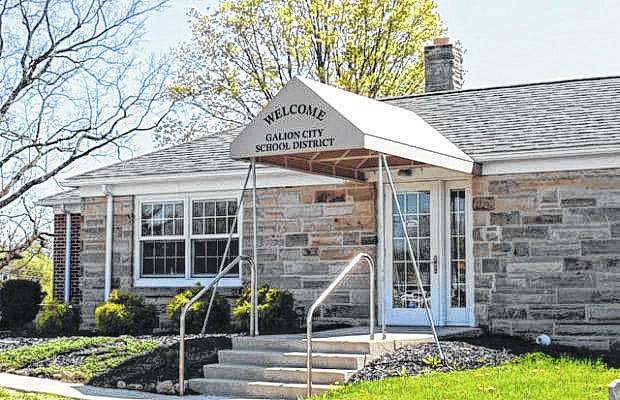 The board voted to accept donations from the Christ United Methodist Church Mission Fund and First United Methodist Church Memorial Fund to the Galion City Schools Community Fund. The board also recognized Christ United Methodist Church and its parishioners for their donations of hats, gloves and winter coats to the district for students in need throughout the months of January and February. The board also approved a resolution selecting MKC Associates of Powell, Ohio as the design firm for the proposed bus garage and athletic complex on the district’s campus. The next regular monthly meeting is at 6:30 p.m. on March 20 in the Galion Middle School computer lab.